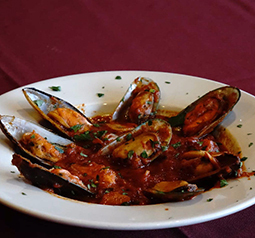 Don't let your gluten allergy keep you from enjoying a delicious Italian meal! Via Roma is proud to offer a gluten free menu to our guests. Everything is available for online ordering, takeout, or delivery. Select appetizers, salads, pizza, burgers, hot & cold subs, pasta, parmigiana prepared meals, and chicken or veal dishes. And don't forget about desserts! No meal is complete with a little sweetness to top it all off. Check out our full gluten free menu here!